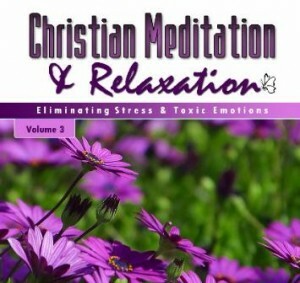 This CD contains Christian meditations, ELIMINATING STRESS & TOXIC EMOTIONS and THE BATTLE IS THE LORDS. Each meditation begins with a progressive relaxation, followed by a Biblical narrative and relaxing background music. you to turn your worries and cares over to the Lord. Find peace in the midst of uncertainty and crisis. Time-out: The Battle is the Lords- The Bibles says that where there is strife and envy there is confusion and every evil work. Learn to fight your REAL enemy and overcome anger.